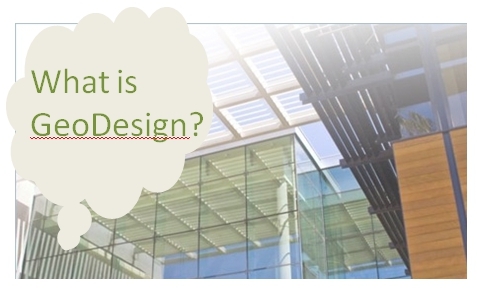 I’m really passionate about GeoDesign because of my background in landscape architecture. There are so many similarities in landscape architecture and GeoDesign – in fact, during my university days, one of the greatest challenges was integrating GIS into the design curriculum. I think it is more standard to have GIS in the design curriculum nowadays, but GIS is still not a standard tool used by designers. On a personal level, something I’d like to see is how GIS can be better integrated with design workflows. I am especially interested in ideas and feedback from GIS users and designers on how GeoDesign can bring us a step closer to a more holistic design approach – so feel free to comment on this post and we can get a conversation going! 1. Any instance of iterative landscape planning, for example, where one might (a) sketch (prototype, visualise) a design on a map, (b) employ an analysis capability that can calculate (in real time) the consequences of that sketched design, and (c) elicit feedback (in real time) to improve the design. This forum is full of many more attempts from people trying to define the concept. As you can see, GeoDesign is not an easy term to pin down. But you get the idea that the over-arching purpose of GeoDesign is to use the power of GIS to create better environments. The concept of GeoDesign is not new. 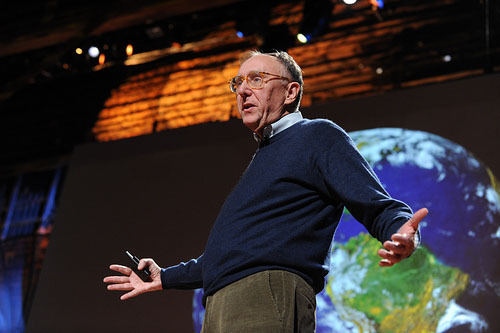 Jack Dangermond, when discussing GeoDesign at TED 2010, made reference to the master designers of Japan who ” harmonised the use of land and structures with the environment around them, finding the right balance between building and nature”. Another example lies in the 1969 book Design with Nature, by Ian McHarg, a landscape architect and seminal figure in the environmental planning movement. McHarg introduced the concept of layers and the importance of using scientific analysis to drive design decisions. It was the methodology outlined in this book that grew into what we know today as GIS. In essence, designing with nature is GeoDesign, so it is already at the centre of the many design professions. Perhaps the big difference between the master designers of Japan, the designers of McHarg’s era, and the designers of today is the variety, complexity, and extent of the data that today’s designers deal with when testing designs. Every day, landscape architects, environmental planners, and architects (to name a few practitioners) use science and analysis to inform their design decisions. Their always-iterative designs start with a pen and paper, are tested out in both analogue and digital models, and are communicated through diagrams, perspectives, and sophisticated renderings. GIS software, is not, however, always an integral part of their design process. Perhaps the biggest contribution GIS can make is providing a platform where designers can model planning and design scenarios, test solutions, and easily transfer ideas between ArcGIS and software applications such as Sketch Up. ArcGIS 10 brings all of this a step closer to that reality. But I also think that software is not the whole solution. We need more integration between analogue and digital methods of analysis. Check out Helena Mitasova’s presentation Landscape Design with Tangible GIS. 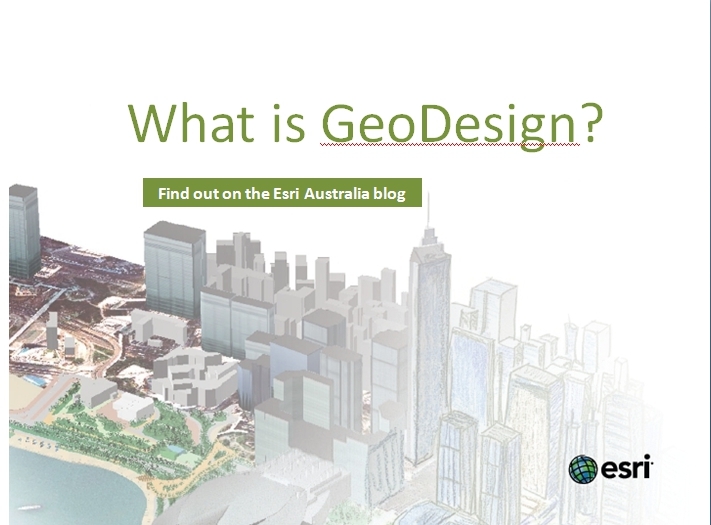 This entry was posted in Uncategorized and tagged design, ESRI, Esri Australia, GeoDesign, GeoDesign Summit, gis, landscape architecture, TED, TED 2010 on November 30, 2010 by kpullman.